This multipurpose chair has a one-piece Lyris suspension or suspension upholstery between outer composite polymer frames. 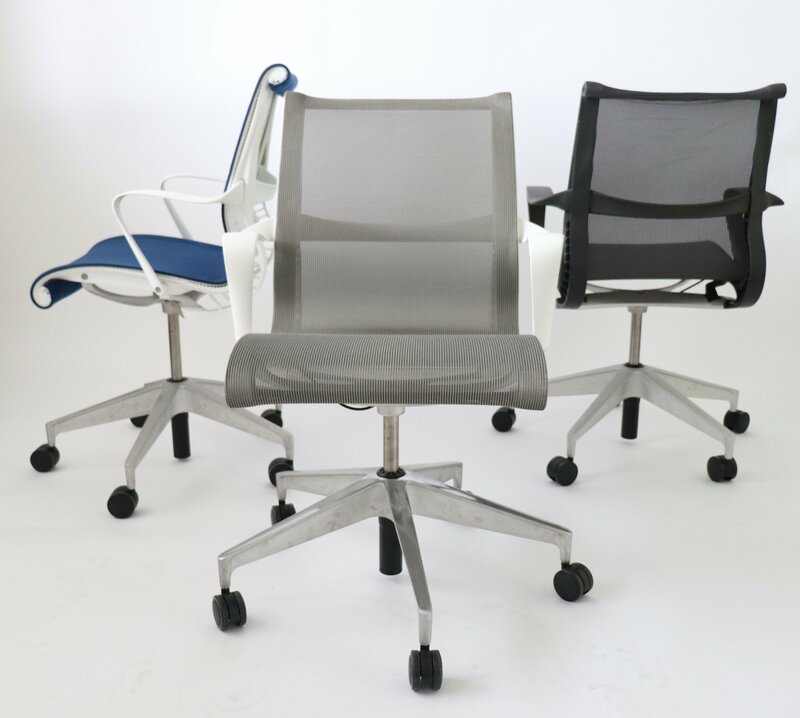 The Kinematic Spine technology is integrated into the chair’s back frames to allow for varying recline positions and continuous support. The chair has a standard-height pneumatic adjustment, and fixed-height ribbon arms.